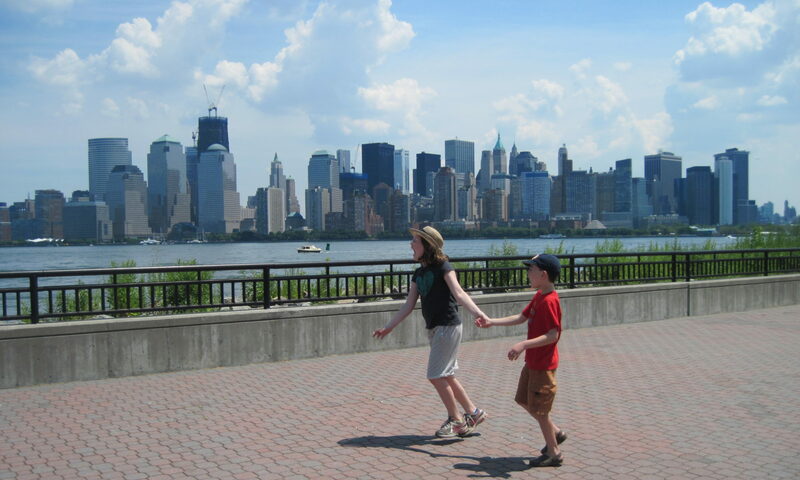 A few years ago we were wandering around New York City…on Easter. 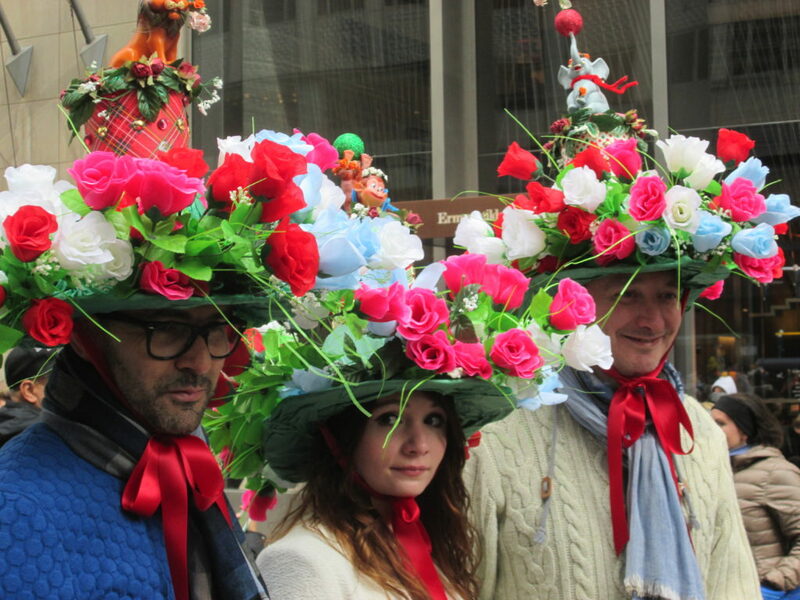 We didn’t end up at the Easter Bonnet Parade on purpose. We just happened upon it. But it was fun. 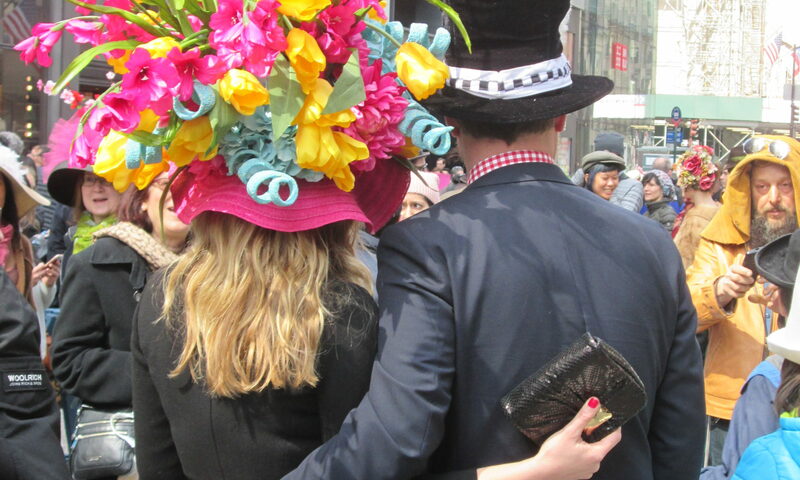 People wear crazy hats and costumes. Some carried live bunnies. It wasn’t an organized parade, just a bunch of people in costumes (mostly spring/Easter themed hats) walking around and posing for photos. This year it’s Sunday, April 1 from 10-4. It’s from 49th Street to 55th Street, on Fifth Avenue. 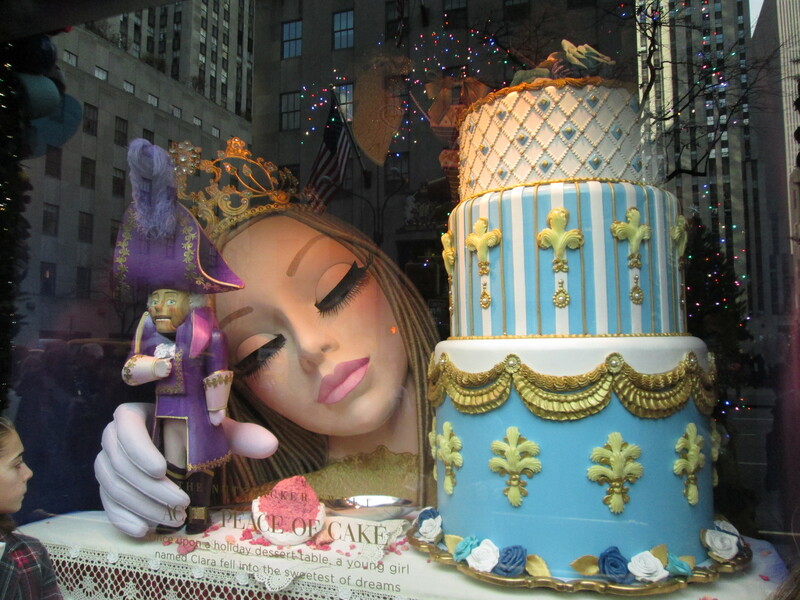 Our annual NYC holiday windows post! Enjoy. 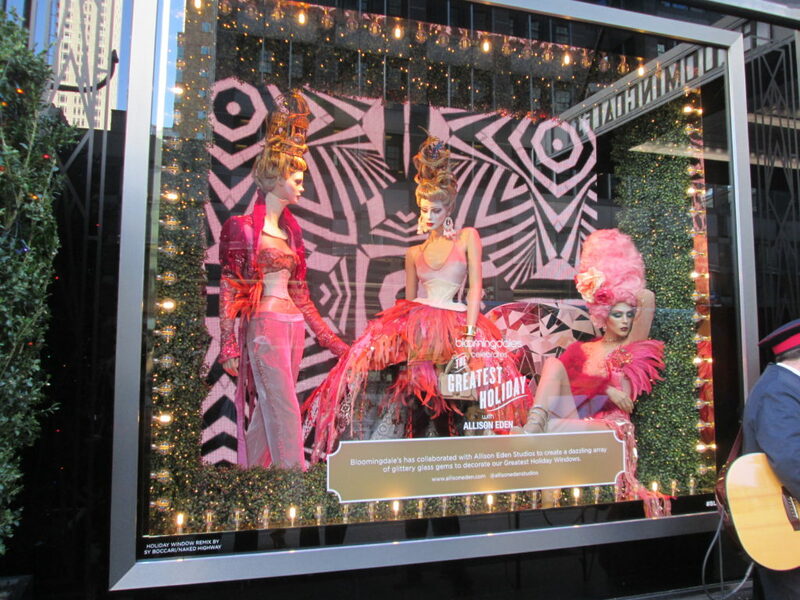 Bloomingdale’s NYC holiday windows holiday windows are inspired by the Greatest Showman, the new movie coming out about PT Barnum. You’ll find circus performers galore, and some windows with magical elements. You’ll also find a fortune teller, where you can get your own fortune. 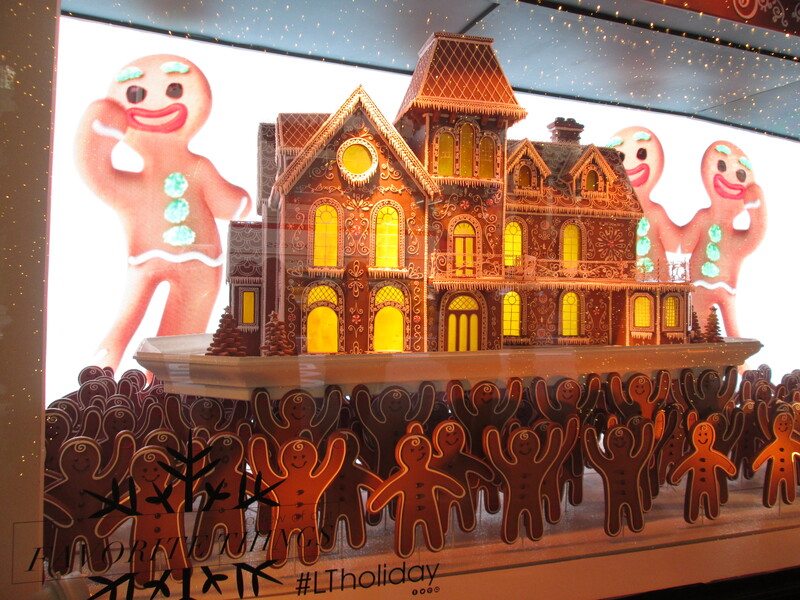 Here are Bloomingdale’s holiday windows from 2016. 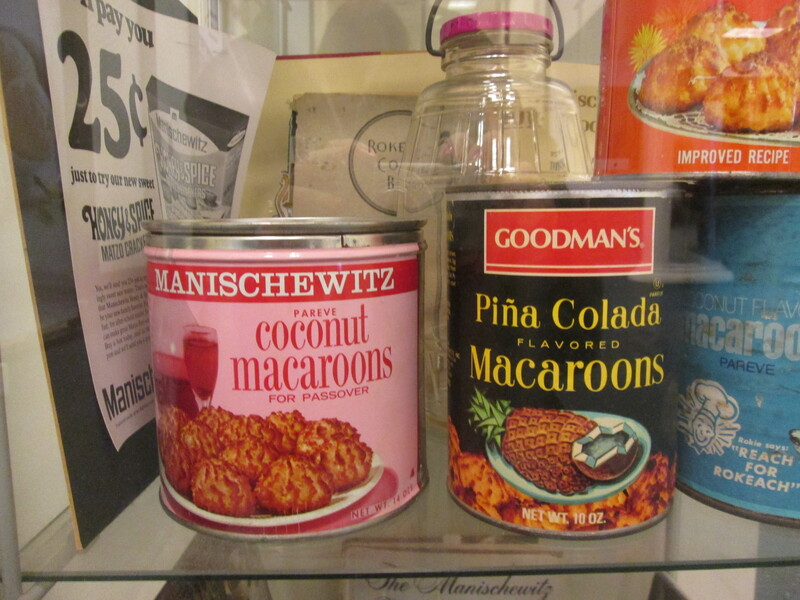 This is part two in our post about the Manischewitz factory tour. 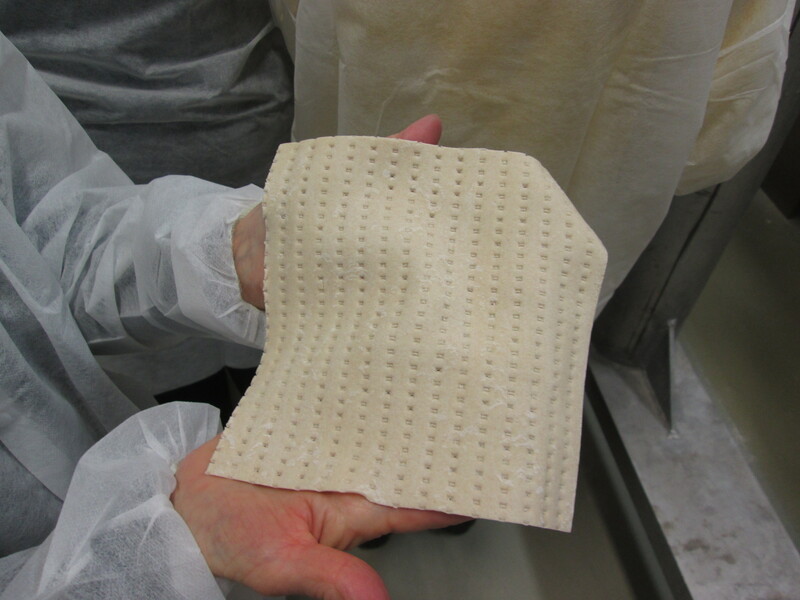 Part one is a tour of the Manischewitz matzah production. 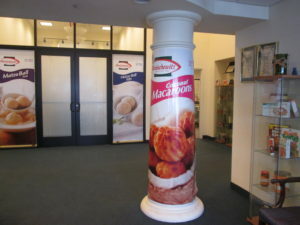 If you grew up in the New Jersey area, you may have taken an Manischewitz factory tour through religious school, in Jersey City. That factory closed, and the new global headquarters and manufacturing plant is now in Newark. It opened in the fall 2016, and you can book group tours there. 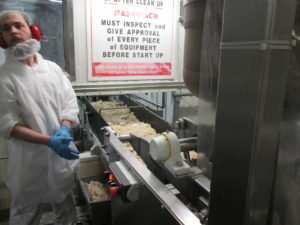 I love factory tours, and even more so when it’s the actual factory, and not a fake one (I’m talking to you, Hershey’s). It’s that time of the year when we stuff ourselves silly and buy to excess. You’re probably already doing things to help those less fortunate. 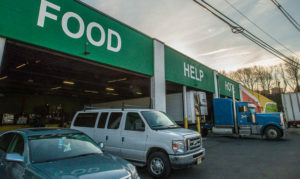 But I wanted to share our experience with the Community FoodBank of New Jersey (CFBNJ). 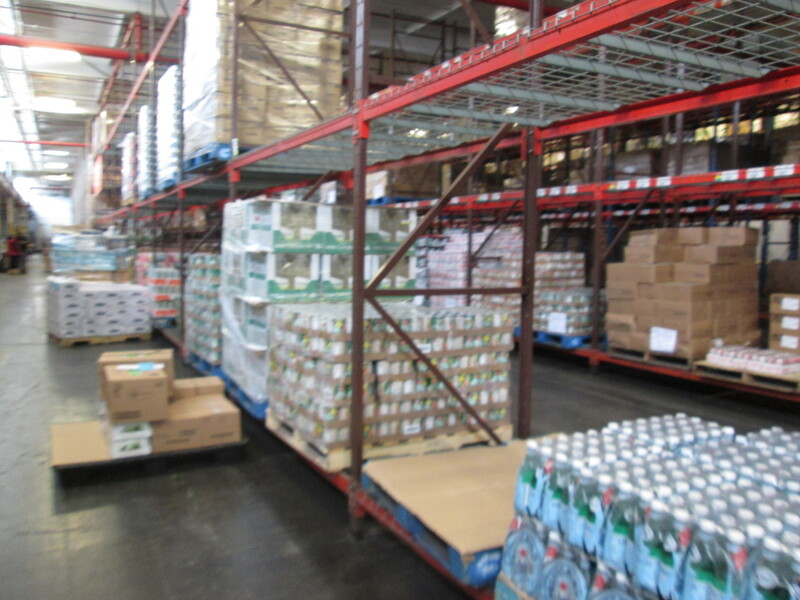 The food loading area at the CFBNJ. Photo courtesy of the USDA/Flickr. 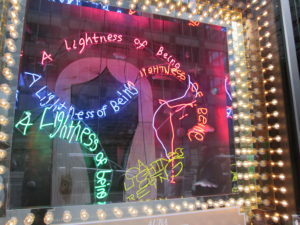 We loved the Bloomingdale’s windows this year, which feature chandeliers. They’re all going to be auctioned off to benefit the Child Mind Institute. Each window features a chandelier from a different artist. 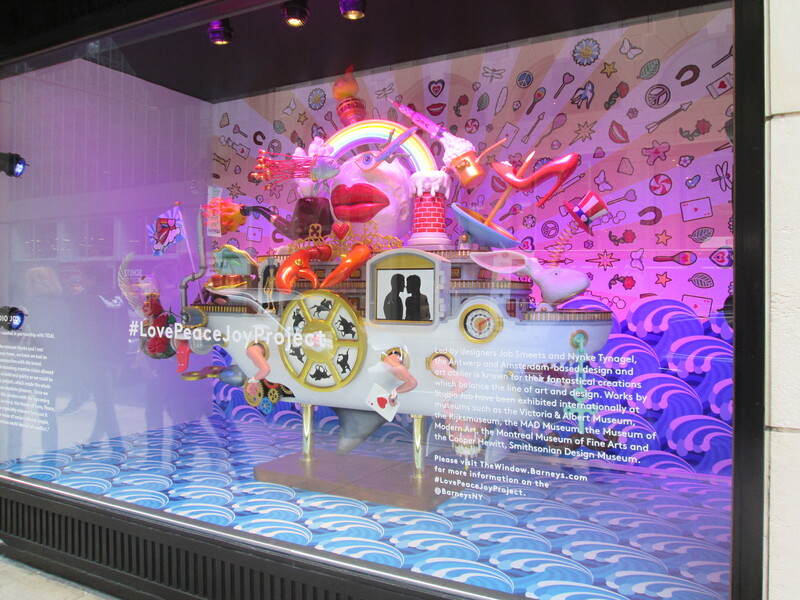 Barney’s theme this year is the Love Peace Joy Project. It features work from prominent artists you may or may not have heard of. More on that below. These windows were a lot of fun. 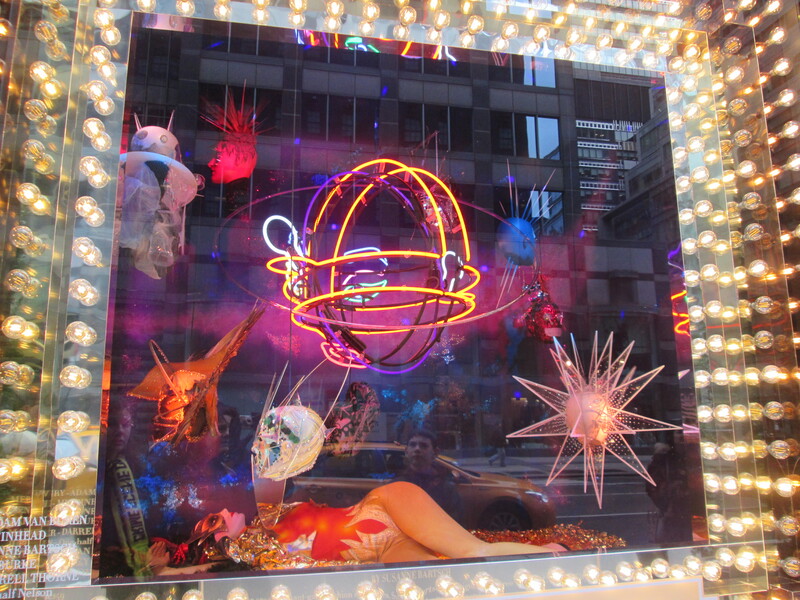 If you haven’t had a chance to check out the holiday windows, what are you waiting for? 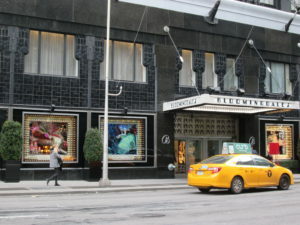 Here are some of my pix from Saks Fifth Avenue. 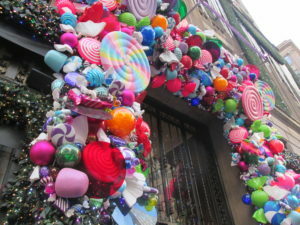 Though I didn’t go at night, they have a lovely light display on the building, above this candy entrance. 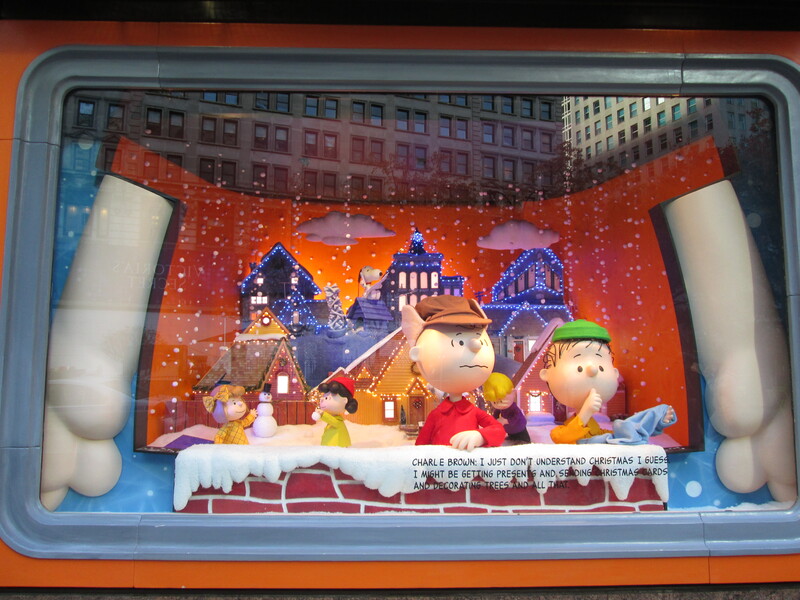 This year, the Macy’s Holiday Windows feature the Peanuts gang. They tell the classic Peanuts Christmas story, with characters that move. Sometimes it’s their heads, sometimes the clouds float from the bottom to the top, and sometimes they cross from one side of the window to the other. You can also hear them narrating what’s written on the window. It’s kind of sad, but ultimately happy. And it’s ironic to see Charlie Brown lamenting Christmas being this big commercial thing – in the windows of the massive Macy’s store. 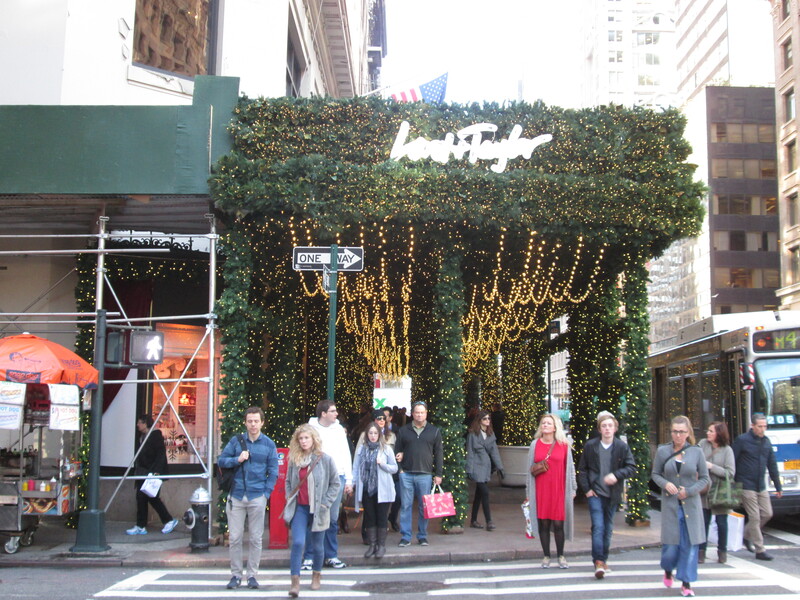 See the 2015 Lord & Taylor windows here. 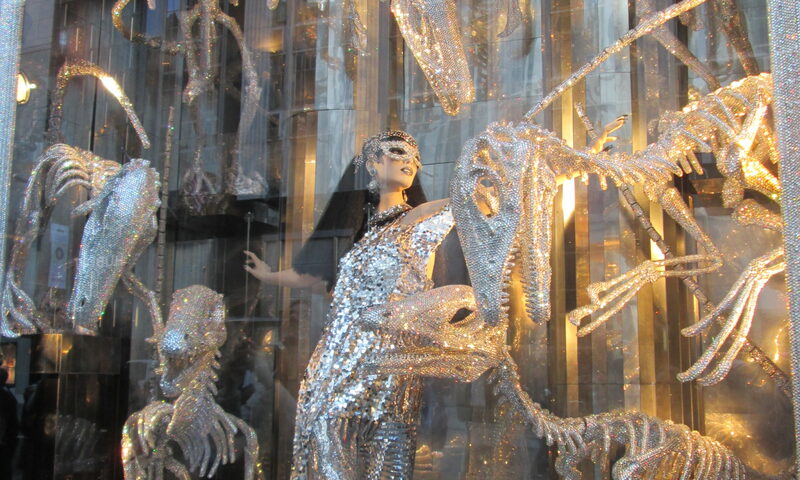 I got an early look at the Lord & Taylor windows last week, and wanted to share them with you! It’s easy to spot the store, with the greenery and lights. Lord & Taylor’s holiday greenery. Copyright Deborah Abrams Kaplan.